Probably it will never make the list of World’s Weirdest Roadside attractions, but Fermilab is in the process of building an instrument that sure sounds like it ought to be on the list. In the latest edition of Fermilab Frontiers, we learn that Fermilab engineers are constructing a two-story-tall narrow thermometer that is precise to the millikelvin level — one of the many technical solutions the DUNE team is developing on a daily basis. DUNE, of course, stands for Deep Underground Neutrino Experiment, the international flagship science project hosted by Fermilab that aims to unlock the mysteries of neutrinos. 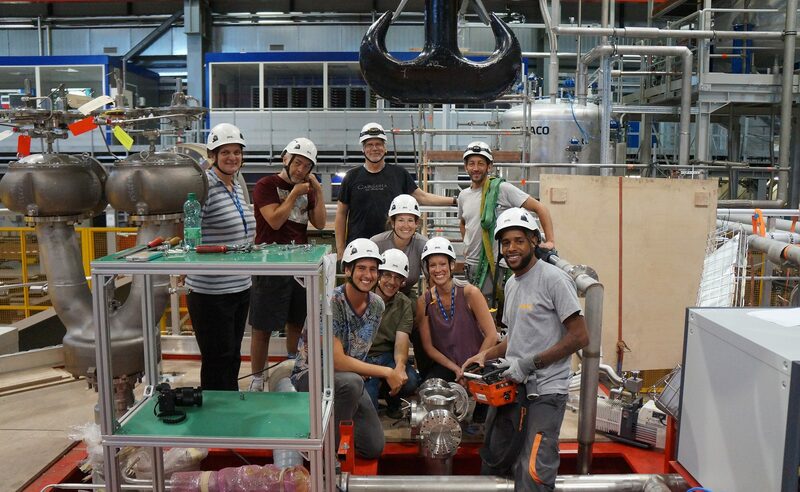 As part of the project, enormous DUNE particle detectors will be filled with liquid argon, which needs to stay within a very precise temperature range, so scientists need to be able to check that temperature. The solution is a thermometer that is precise to the millikelvin level. Cary Kendziora had expected the long, slender temperature profile monitor to droop a bit, but not as much as this. 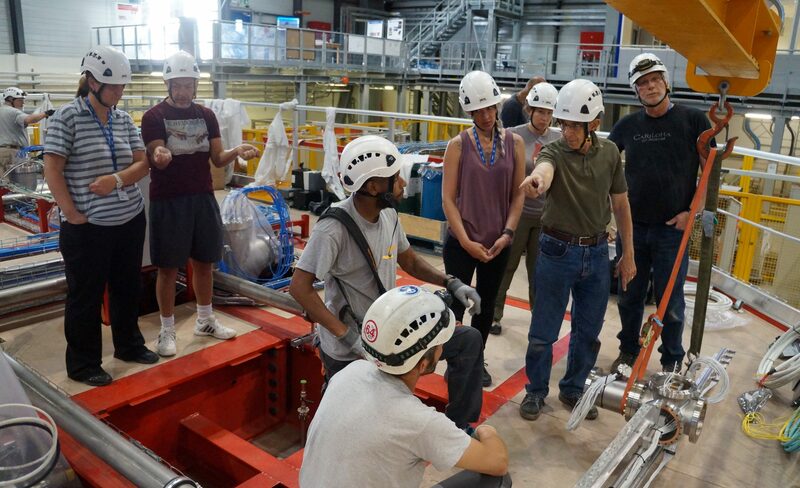 As part of a joint project with the University of Hawaii at Manoa, Kendziora, a mechanical engineer at the U.S. Department of Energy’s Fermilab, had designed the device to measure the variation in temperature inside a massive neutrino detector located at the European laboratory CERN. 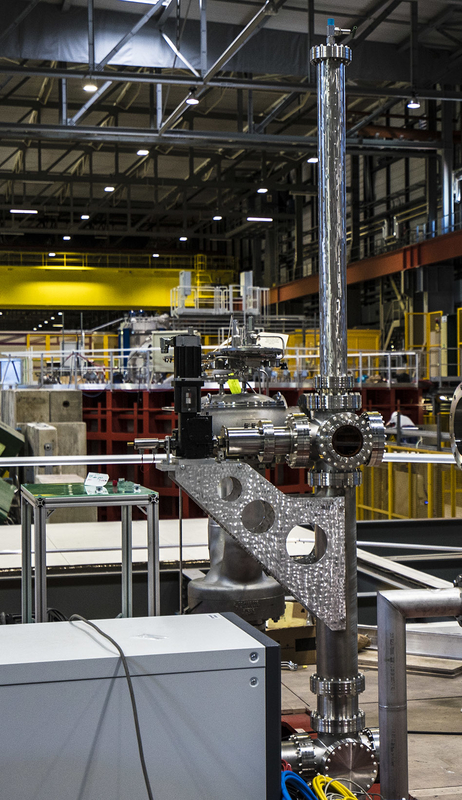 The detector, the size of a small house, is filled with liquid argon. 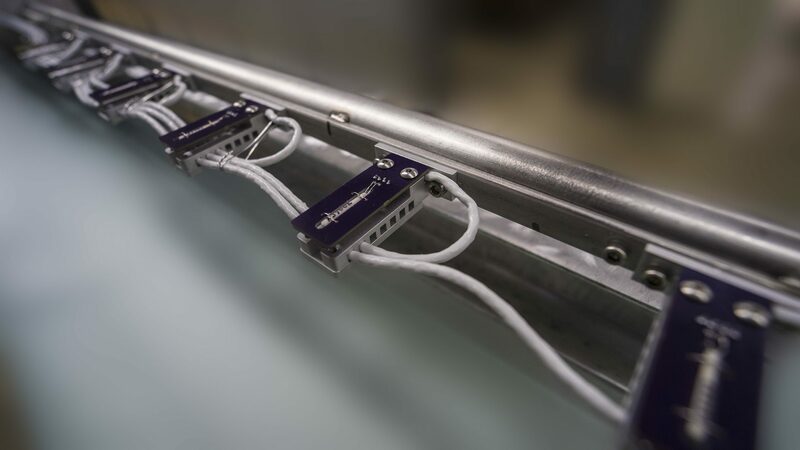 The temperature profile monitor is a solid piece of metal about 8 meters tall — about two stories — and as thin as a curtain rod. It bowed considerably when it was horizontal. The detector, one of two known as the ProtoDUNE detectors, contains 770 tons of liquid argon maintained at temperatures around 90 Kelvin. That’s a chilling minus 300 degrees Fahrenheit. As particles pass through the detector, they occasionally smash into the nuclei of argon atoms. The particles emerging from these collisions release electrons from argon atoms as they pass by. These electrons drift toward sensors that record their tracks. The tracks, in turn, give scientists information about the particle that started the reaction. At this scale, the purification efficiency has to be checked regularly. If the argon doesn’t mix properly, it begins to stratify into layers of different temperatures, which can affect how far electrons can drift.